This page contains the information on the Travel Voucher prize in Macca’s Monopoly New Zealand 2016! 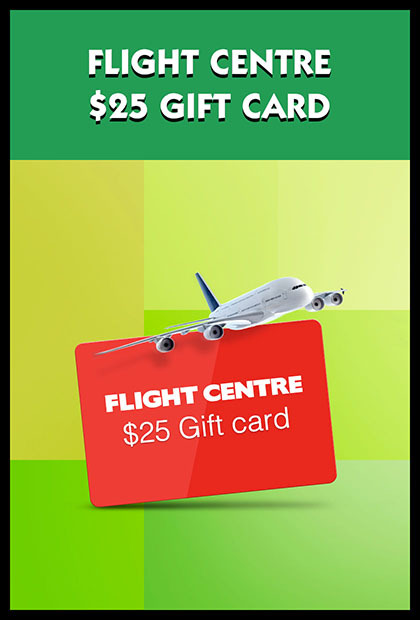 Each Travel Voucher prize comprises of one (1) x Flight Centre Travel Voucher valued at up to $25.00 OR $100.00. The Promotional Partner for the Travel Voucher prize is Flight Centre Travel Group Limited (ABN 25 003 377 188). Redeemable in full at any Flight Centre retail store within New Zealand towards any new travel booking. Offer is valid for 6 months from date of issue. Offer is redeemable in-store only and must be redeemed in full. Partial redemption is not permitted. Unique code must be presented to consultant at time of booking and the value will be deducted from the total booking cost. Limited to one offer per booking. Offer cannot be used to obtain discounts for existing or past bookings and cannot be used in conjunction with any other offer. Offer is non-refundable, non-exchangeable, non-transferrable, non-replaceable and nonredeemable for cash, credit or foreign exchange products. Travel Vouchers are subject to their prevailing terms and conditions of use, including expiry dates, and are not replaceable if lost, stolen or damaged.